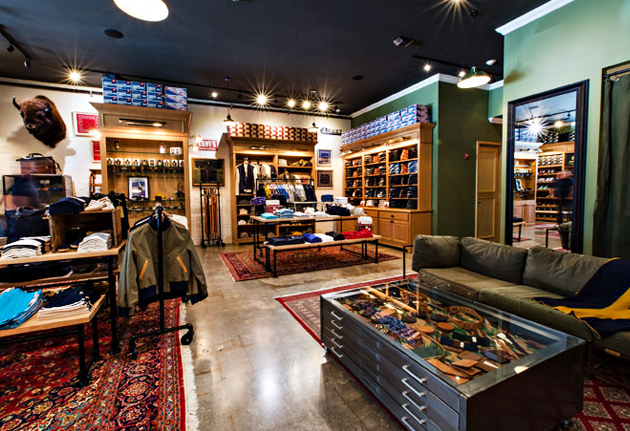 Doff your cap for Goorin Bros., our city’s first outpost of the storied San Francisco–based hat-berdashery, now open on Lincoln Road. Look around. Cozy, sure. Looks like an old-timey hat shop with an affection for maritime affairs—antique cigar boxes scattered about, life preservers and nautical rope in the window display, and 23-karat gold-leaf gilding on the signage. Oh, and hats. Plenty of those. Speaking of which, these folks have been in the hat game since 1895. And they’re here to make sure your head looks its most dashing. You’ll want to keep an eye out for their handmade options fashioned from straw. Because they breathe. And that’s important when 85% regularly shows up in your humidity index. But you can also go classic. Just have the crew pick out a few styles. Maybe a fedora made from wool. Or a flatcap fashioned from linen. Then, let them guide you to the feather bar where you can accentuate your hat with a ribbon, feather or hatpin. You always feel naked without your hatpin.